Mike has been involved in LE tracking for close to 40 years and to my mind is probably one of the top ten trackers and instructors in this country. I can honestly say that his is the best book written on the subject that I have ever read. I reviewed this book for Mike before it went out for printing. I can say without a doubt that this is one of the best books I've ever read on the subject of tracking. Within these pages rests an incredible amount of knowledge that has been built over a lifetime by Mike Hull. This should be on the essential reading list of every LEO...whether they are local, state, or federal. 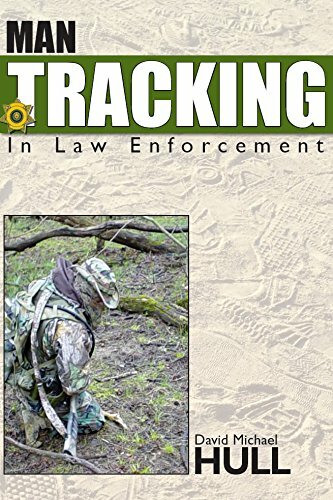 As a seasoned tracker over 25 years tracking with LE, SAR & Military I have seen many books and manuals on Mantracking., Mike Hull has written a solid tracking book for all skill levels! I have a large tracking library and his book is among my most prized tracking books. He has a way to boil years of experience into well articulated simplistic teachings where the novice can understand the teaching points while the seasoned tracker can pick up on finer points that are best understood with dirt time under their belts. This book is a must for a well rounded study of tracking. To order "Man Tracking in Law Enforcement" email mikehullvitale@gmail.com. Cost is $27 in US. including postage. Outside of US postage will have to be applied. PayPal is acceptable. As of December 25, 2018 only 10 books left available.